Today was my first day of work in Sunny Beach. In the morning we went to the office to collect our uniforms (a yellow T-shirt), and to hear the do's and dont's of dealing with tourists. We were working for a small Bulgarian tourist agency that had the contract for managing a lot of the airport transfers from Burgas airport to the Sunny Beach hotels and vice-versa. All my colleagues were Bulgarian and roughly my age give or take a few exceptions. 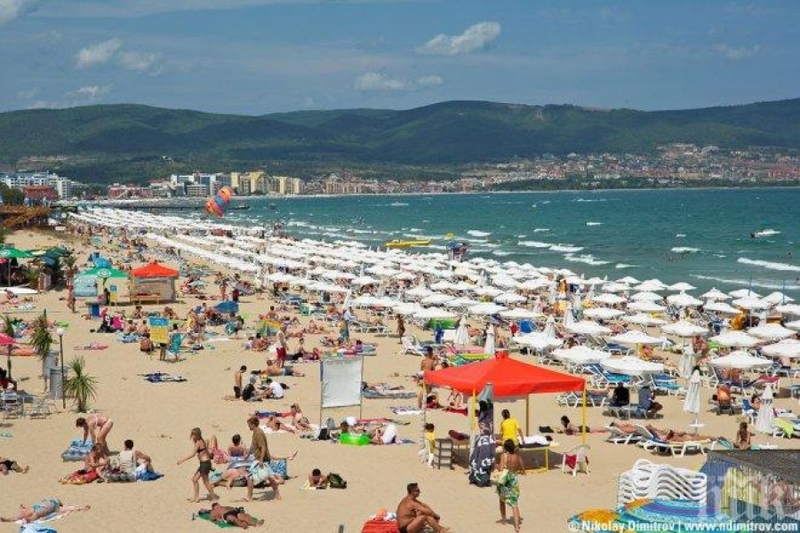 Our first job was to walk around Sunny Beach to learn where the hotels were so we'd know where to pick up the tourists. It wasn't easy, there were hundreds of hotels and apartments and the most difficult thing was that most of them had almost identical names invariably beginning with 'Sunny'. There was 'Sunny Day', 'Sunny Homes', 'Sunny Place', 'Sunny Towers', 'Sunny Sands', 'Sunny Flats', 'Sunny Complex', 'Sunny Heights', 'Sunny Lets', 'Sunny Palace' and then 'Sunny Day 2', 'Sunny Homes 2A' etc etc.... you get the picture. It's as if whoever built an apartment block or small hotel in Sunny Beach just had to get the word 'Sunny' in there somewhere. 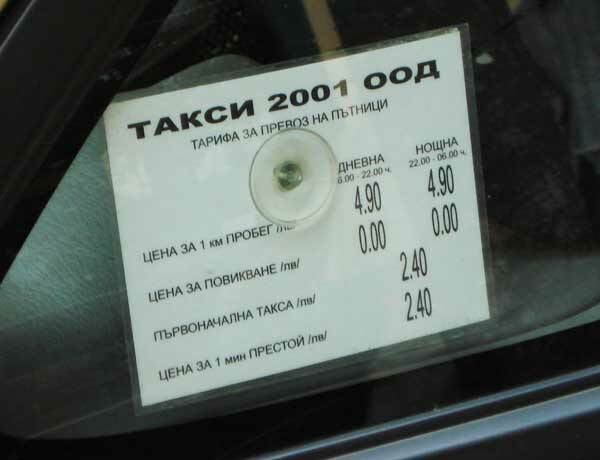 It's a bit like the rip off taxi firms in Sofia who try to copy the taxi firm 'OK Супертранс'. They copy their logo and then call themselves 'ОК Суперкарс', 'ОК Стилтранс' and my favourite must be 'ОК Супершанс' because that's exactly what it is if you get in - a game of 'супершанс' where you'll either get charged 5 leva or 50 leva, invariably the latter. My number one rule is never ever get in a gold taxi. Even if I'm standing in the rain in Sofia at 2am with no public transport, not another taxi in sight and 10 stray dogs bearing down on me I would never get in a gold taxi. There is just something about a gold taxi that gets me suspicious. In Sunny Beach I also noticed there was an unusually high number of gold taxis circling. It didn't bode well. That first day I only had one transfer to do, at 3am, which was counted as one hour's work (and would earn me the hourly rate of 3 leva) even though it took about two. I met the driver at the bus station and we made our way, extremely quickly, to the airport. I wondered for a second whether I had got in a rally car by mistake and immediately put my seat-belt on. He seemed to take offence that I thought it necessary to put my seat-belt on and wagged his finger at me as if to say 'don't be silly' before carrying on driving at 200kmh and pursuing a strict policy of only overtaking on corners. Thankfully we did make it to the airport (in what must have been world record time) and I duly stood in front of the bus holding my board with yellow T-shirt on waiting for a plane load of scandinavians to swamp us. The first boy, blonde and Swedish looking, to find our bus asked me in a hurry 'How long is the journey to the hotel?'. I told him 'not long, about 25 minutes'. His eyes widened at my answer and he shot back 'That's far too long without beer, where can we buy beer from for the journey?'. That was a sign of things to come, lots and lots of drunk Scandinavian and English tourists. I was ashamed of the UK holidaymakers for painting such a bad picture of British people abroad. Some of them wouldn't realise I was also from the UK when they heard me chatting in Bulgarian to the bus drivers and sometimes they would come up to me as they were getting off the bus and say "you speak very good English, where did you learn it?". We had to chat to the bus drivers all the time, especially on those 3am shifts because they would work ridiculously long hours and were prone to start nodding off. Most of them were Turks who lived in Bulgaria and the summer was their main chance to earn money for the year. They would never turn a transfer down and would do non-stop shifts sleeping in their buses for half an hour here and there. 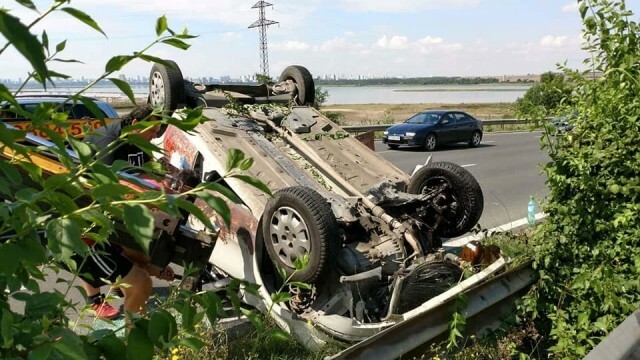 The road from Burgas to Sunny Beach is notoriously dangerous and the bus drivers would drive dangerously too. There would be collective sharp intakes of breath from all the tourists as the buses overtook each other. The tourists would be chatty getting on the bus at the airport and then stunned into silence on the bus journey itself. Then to top it all the bus drivers would insist we ask the tourists for tips. I was a bit embarrassed to do do this, firstly because the bus driver had just scared the life out of them and secondly because it's not really normal to tip for the bus to the hotel. I tried to make a joke about it by saying there's a surcharge of one euro for every time we overtook and that it had to be deposited in the tip basket at the front of the bus on their way out. Suprisingly enough many people did leave tips and we ended up doing quite well splitting them 50/50 with the driver. I dropped the last tourists off at 4.30am and as I'd drunk a coffee before the transfer I didn't feel like going back to sleep so I went for another coffee and a bit of breakfast which cost me just over 4 leva. Great I thought, I've woken up at 2.30am to do an hour's work, have earnt 3 leva, spent 4 leva, it's not even 6am and I'm a leva down. I would have been better off to stay in bed till 10. Thank god for the tips.